WILL THE AFFORDABLE CARE ACT BE IMPLEMENTED? 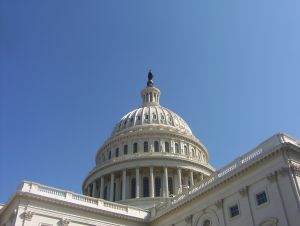 The U.S. House voted recently to delay the so-called “individual mandate” of the Affordable Care Act (ACA). On July 17, 2013, the House passed the Fairness for American Families Act, H.R. 2668, sponsored by Rep. Todd Young (R-IN). Passage of H.R. 2668 sets the stage for a political show down about whether to implement some, all or none of the ACA. Swords are drawn. The ACA survived the political fight for its passage. It survived the legal fight about its constitutionality. But can it survive the fight about whether, or to what extent, to actually implement it? The H.R. 2668 Digest expresses concern that implementation of the ACA will “have significant consequences on patients, our nation’s healthcare system, taxpayers, job holders, job creators, individuals, families, and the economy.” According to the Digest, “the 190 million hours per year that American families will be forced to spend complying with [ACA] requirements; the likelihood that seven million people will lose their employer based insurance, the increase in health insurance premiums by as much as 400 percent for individuals and 100 percent for the small group market; the $716 billion cuts to Medicare; the $628 billion expansion of Medicaid to mostly childless adults, the 159 new government boars, including IPAB, and the 800,000 job losses that the CBO anticipated. Our law firm represents physician, physician groups, ambulance service providers, nursing homes and other health care providers and businesses. Our law firm’s focus is helping health care businesses succeed. Contact us at info@ksllawfirm.com, (404) 685-1662 (Atlanta) or (706) 722-7886 (Augusta) to schedule a consultation.